Titan Storage has a wide range of business and personal storage solutions that are conveniently located for the lowest prices. Think back 10 years, and the idea of adjusting your heating from your phone or turning your lights on using your voice would have been unheard of. Nowadays, there’s a gadget for almost anything – changing the colour of your lights, playing music, feeding your dog and even order replacement products simply by pressing a button. We’d be surprised if you hadn’t heard of this digital assistant/speaker yet. Amazon’s offering to the home automation market is nothing short of having J.A.R.V.I.S in your home. Nowadays, it can do a lot more than simply play music. 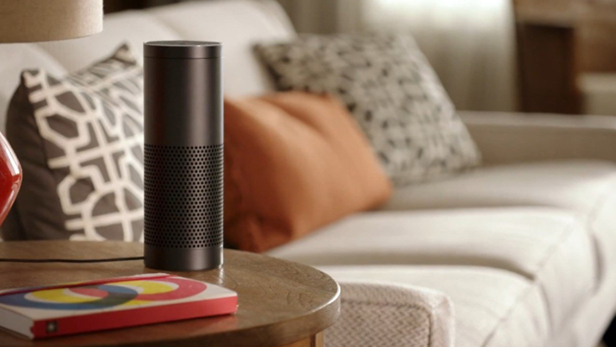 As well as making and answering calls, the Amazon Echo is the perfect hub from which to manage your home automation since it’s compatible with many other systems. An alternative to Amazon Echo is the Google Home. It can connect to all the same services and works with your smartphone, either Apple or Android, so that you can set up new compatible accessories easily. If you’re looking for a way to add smart security to your home, Nest is the best place to start. The Nest Cam IQ is Nest’s latest security camera and is incredibly advanced for its purpose. With a high-quality lens and digital sensor, it can detect an intruder, alert you, and stream footage within seconds. The software of the camera also means that the transmitted video can zoom in on a person and follow them around a room. Within Nest’s repertoire is also the Nest Protect: a smart smoke and carbon monoxide detector, which will be the most stylish detector system you’ll ever own. With an alarm connected to your phone, the ability to tell the difference between smoke and steam, and a warning before the alarm goes off, this detector is an amazing upgrade to your current system. If that wasn’t enough, the Nest Protect can also act like a night light by detecting when you’re walking past. If you’re already a fan of the Echo, Amazon’s new Echo Show just takes home automation one step further, while still including all the functionality and services that the Amazon Echo is well known for. The Echo Show makes itself different from the Echo with a screen that can show anything from song lyrics to video calls. It’s also able to connect to other devices, including cameras in the house, so you can easily check on your baby’s crib or keep an eye on the security camera outside. Have you ever wanted to create a light show in your house simply by using your voice or your phone? While expensive, the Philips Hue is a great way to create a smart lighting system in your home, allowing you to adjust the brightness, change the colours of the lights, set timers and even create “scenes” or different pre-sets. You can also control all these changes from the Philips Hue app, which boasts a highly intuitive user experience to make the automation of your lighting systems a breeze. We come back to Nest to look at the product that launched their home automation range in 2013 – their self-learning smart thermostat. The Nest Learning Thermostat is designed to optimise both the heating and cooling of your home, through learning and adapting to your own personal habits and preferences. For example, it will begin to adjust your heating automatically after learning how you behave. It is also able to engage the efficient “away” mode while you’re at work and can be controlled and monitored from your smartphone. Want to know what your pet is getting up to while you’re away at work? Furbo is a smart camera which lets you see what your pet is up to when they’re in front of the lens. A microphone and speaker let you talk to your pet from your smartphone and, if you have a dog, you can also set up alerts to notify you when they are barking. And, if it doesn’t already have enough features for you, you can also fill the device with treats. With a simple press of the screen in the app, you can dispense a treat for your pet to enjoy. While not a new technology, the Roomba has made its way onto our home automation list because it’s now able to be connected to Amazon Echo devices, meaning you can instruct your Roomba to start a cleaning cycle from anywhere in your home. While the commands for the Roomba are fairly limited, ranging from “Alexa, ask Roomba to start cleaning” to either pausing or cancelling a cleaning cycle, this brings people one step closer to a completely connected home. If you hate forgetting to order something when you run out of it, an Amazon Dash Button could be the perfect solution. It’s a WiFi connected device which reorders a selected product from Amazon when you press a button. The product can be customised beyond simply choosing what it is – during the process of creating your button, you can specify the size of the product or the scent, if necessary. These buttons can be bought as physical items, in which case they can be placed near the item they replenish for easy access or can be created digitally on Amazon’s website for access from the app.